Little Missy's quality of life just went up. Husband finally got around to building her a crib. Till now she slept in a bassinet, which she pretty much outgrew. Now we have two cribs in the master bedroom. Yes it's crowded, but we're hoping to set up a nursery as soon as we buy a house (right after winning the lotto). Till then, we'll continue in our rented apartment in New York - the capital of overpriced real estate. Little Missy is definitely enjoying all the new space and the ability to see the room through the rails. She likes to peek at mama during the night and mama likes to peek at her. The crib we bought is identical to the one my two year old toddler still sleeps in, which is a Franklin and Ben Liberty 3-in-1 Convertible Crib. I always liked the classic look of spindle cribs and this white one is dainty, yet sturdy and does not overwhelm the room. The Liberty Crib is made of solid American poplar, which is in the category of hardwoods, though it's one of the "softer" hardwoods. I appreciate that a toddler rail is included with the crib. A lot of other brands sell it separately. Overall, I'm pretty happy with this crib for the price. The crib mattress is also the same as the one I chose for Ben two years ago. I only wanted an organic mattress for him, which does not contain any toxins or flame retarders. 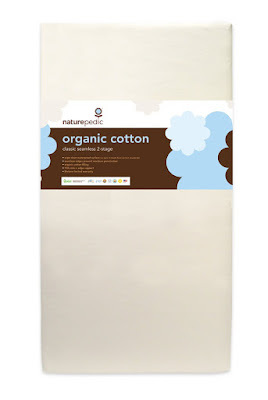 I will not get into what's wrong with conventional mattresses, you can google that if you're interested, but I'll tell you that after carefully considering all available options and prices, I settled on the Naturepedic Organic Cotton Classic 150. This is a 2-stage dual firmness mattress. One side is firm for infants to sleep safely, the other side is slightly softer for toddlers. The mattress has 150 coils and is filled with organic cotton. 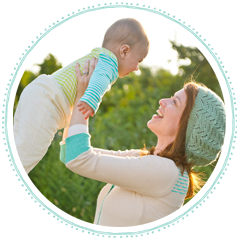 I was very impressed with the quality of this mattress and since Ben slept comfortably on it since he was an infant, I purchased the same one for Little Missy without any hesitations. This mattress costs $299 on Amazon, with free shipping and returns. For baby's comfort, I covered the mattress with an organic quilted mattress pad, by American Baby Company, also purchased on Amazon. The little pillow in the picture is there to help with flat-head, which all my babies seem to develop. This time I was proactive and got the pillow early one. There are benefits to being the youngest in the family. Parents already had a chance to experiment on your older siblings and have just a little more figured out. Now if I can only get Little Missy to sleep through the night in her new abode, well, that would be just dandy!